Christmas is the only time I like to eat sweets. There is something about the time of year that just makes me crave sweets. Today I got my hair cut and the hair salon had a huge tray of homemade cookies displayed in the sitting area. Needless to say, I may have indulged in a few lemon bars and peanut clusters. I am known in my family for baking all of these tasty sweets. Around Christmas time, I usually have many requests for my famous cheese cake. This year I ca ved in because of the season, and because I wanted to treat my family at least once. I first made this recipe when I went to visit my exes family for the first time. Needless to say, they were a winner and EVERYONE loved them. I knew Cody (my ex) loved cheesecake, and I wanted to make a good impression. My ex may not be around any more, but this recipe still is. It is one of my favorites especially during the holidays. 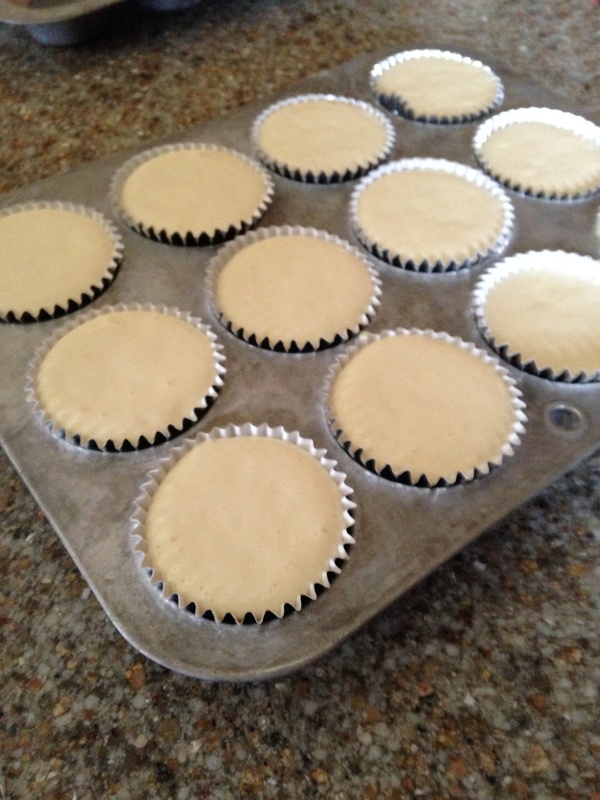 Place cupcake sleeves inside cupcake tins. 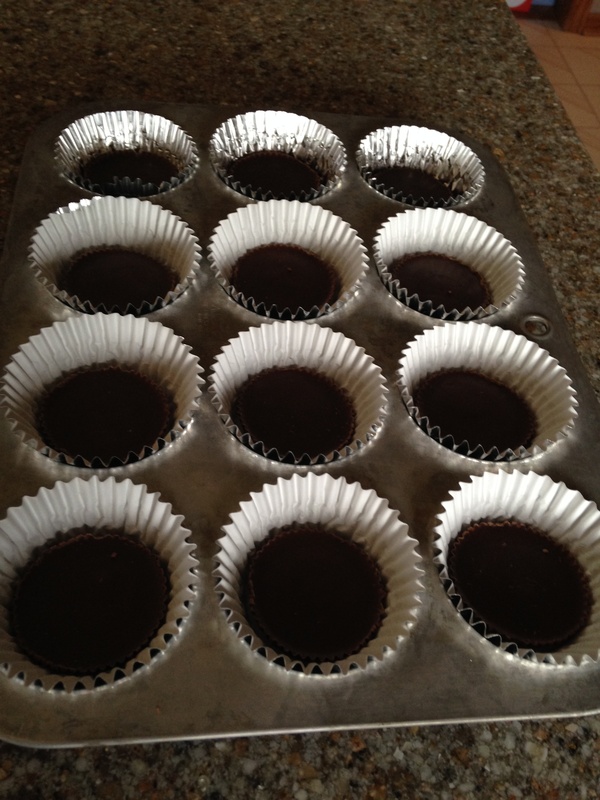 Unwrap all of the reese’s peanut butter cups -there should be around 14 cups- and place the candies on the bottom of the cupcake tins. In a separate bowl, add cream cheese, sugar, eggs and vanilla. Beat mixture with a beater until the mixture forms waves. Spoon mixture into cupcake sleeves and on top of the reese’s peanut butter cups. Bake cheesecakes in the oven for 25 minutes at 350 degrees. Allow cheese cakes to cool and chill before serving.